PLEASE READ THESE TERMS OF SERVICE CAREFULLY. YOU SHOULD NOT REGISTER FOR THE SERVICE AND/OR YOU SHOULD IMMEDIATELY CEASE YOUR ACCESS TO AND/OR USE OF THE SERVICE IF YOU DO NOT WISH TO BE BOUND BY THESE TERMS AND CONDITIONS. BY CREATING AN ACCOUNT AND/OR INSTALLING THE SOFTWARE OR APP, YOU EXPRESSLY AGREE TO BE BOUND BY THE TERMS AND CONDITIONS SET OUT HEREIN. For the purposes of these Terms of Service, “you” (and derivatives or variants of the term) when used herein refers to the party who sets up an account and/or contracts with Digi for the Service but shall include, where applicable or the context so demands, your directors, officers, employees, representatives, agents and/or Users. “Users” includes all parties who install, use and/or access the Service under your account from any device through the OMNI website (“Website”), OMNI mobile application (“App”) and/or OMNI software and network (“Software”). “We” (and derivatives or variants of the term) refers to Digi and includes, where applicable or the context so demands, its directors, officers, employees, representatives and/or partners. you consent to the use and processing of your personal data in accordance with our Privacy Notice and policy. 2.1 All access to and/or use of the Service is subject to strict compliance with these Terms of Service, all applicable laws and such restrictions as may be imposed by us. As long as you abide by the Terms of Service, Digi grants to you a non-transferable, non-exclusive, limited personal right to access and use the Service, as upgraded from time to time. 2.2 You acknowledge that the Service may incorporate or be incorporated into software and technology owned and controlled by third parties. Such third party’s licence agreements shall fall under the scope of these Terms of Service. You hereby agree to be bound by and will abide by the terms of any applicable third party licence agreements essential to the provision of the Service. you represent and agree that the use of the Service is entirely at your own risk. In the event of any misuse of the Service under your account or a breach of any of the foregoing, you agree that we may at our absolute discretion forthwith suspend or terminate your access to or use of the Service or any part thereof without notice and any liability to you. 3.2 You agree and undertake to be responsible and liable for all Users deriving under your account, whether authorised by you or otherwise, and will keep us fully indemnified against any claims or liabilities whatsoever arising from any default, acts and/or omissions by all Users. 3.3 You acknowledge and accept that the Service is not intended to support or carry emergency calls to any kind of emergency services. You shall ensure that you have additional or other arrangements, whether through general wireless, landline communications or other provisions, to access such services. We will not be liable to you or any party for any claim, damages or loss arising from or relating to an inability to use the Service to contact emergency services. 3.4 You agree that the phone number chosen by you (otherwise known as DID or Direct Inward Dialing number/line) under an OMNI Plan and all rights associated therewith are contractual. DID numbers shall at all times remain the property of Digi. Nothing in these Terms of Service shall have the effect of granting to you any ownership or proprietary rights in the DID numbers. We have the right to re-assign a DID number upon termination of the Service between us, at the end of a free trial period, in the event that a number has an “inactive” status in excess of such period as we may determine, and/or in such circumstances as we may reasonably deem necessary. 3.5 Without prejudice to any other rights or remedies we may have, You agree that we may at our absolute discretion without liability to you, with or without prior notice, modify, suspend or terminate your access to or use of the Service or any part thereof, for causes including but not limited to the following: (i) your violation or breach of any of these Terms of Service; (ii) your failure, delay or neglect to pay fees or other charges due for the Service; (iii) pursuant to a request by any governmental or law enforcement body or agency; (iv) pursuant to unexpected Software, technical or other related issues impacting the security or functionality of the Service; (v) for maintenance, repairs, improvements or other works on the Software or other matters related to the Service; (vi) suspicious activities; (vii) a force majeure event or such other unforeseen circumstances necessitating suspension or termination; (viii) discontinuation of the Service for whatsoever reason; and/or (ix) in such circumstances which we deem prudent or necessary. 4.1 The fees and charges for the Service are stated exclusive of taxes, duties or other levies which may be lawfully due. You will be responsible for all charges, fees, taxes and other payments incurred for the Service under your account and/or to be lawfully borne by you, including without limitation GST, stamp duty, bank charges and any increases in fees, charges, taxes and levies from time to time. You undertake to pay all sums due in a timely manner. 4.2 The recurring fees for your OMNI Plan is payable on a monthly basis in advance. All other charges or fees as may be incurred by you shall be billed at the end of the relevant month. 4.3 Where you have provided us with details of your credit/debit card, PayPal or other payment method, you hereby expressly authorise us to charge or deduct such fees and charges as may be incurred by you for the Service from your credit/debit card, PayPal or other payment method set up by you, as and when they fall due. Should you change or cancel your credit/debit card or applicable payment medium without informing us, we may suspend the Service to you without notice and we shall not be liable for any inconvenience, loss or damages you may suffer. Digi further reserves the right in its sole discretion to refuse, from time to time, to accept payment through specific credit/debit card issuers or payment methods as we may determine. 4.4 Payment sums, service items and other transaction information made available to you via the Service account dashboard are final and conclusive. You should notify us in writing within no more than fourteen (14) days of the occurrence in the event of any irregularities. We are under no obligations whatsoever to effect any chargeback, reversal, adjustment or credit to your account unless our investigations reveal a default or omission on our part or manifest error attributable to our Service. 4.5 We may take such legal or other action as we deem necessary against you to recover any outstanding sums due to us. In the event of any late payment, we will also be entitled to charge interest on any unpaid sum at the rate of 10% per annum and/or suspend the Service to you without notice, in addition to other rights we may have. 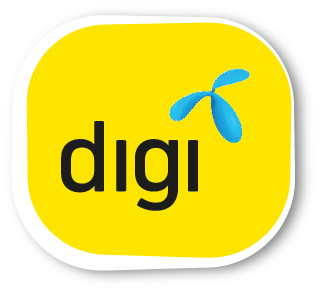 4.6 If the Service to you is suspended at any time due to your overdue account or other causes attributable to you, Digi shall not be responsible for any inconvenience, loss or damages whatsoever that you may suffer. We reserve the right to impose a reconnection fee for any reactivation of Service. 5.1 Your OMNI Plan subscription will automatically renew on a month-by-month basis until and unless terminated in accordance with the terms hereof. 5.2 Either party may terminate the Service at any time without cause by issuance of no less than 30 days’ written notice in advance to the other; failing which the next month’s subscription fee will be charged and payable. We may forthwith terminate the Service by notice in writing to you without liability in the event of causes including without limitation your insolvency, your failure to settle sums due, a discontinuation of the Service and business by us, or where any underlying right, contract or approval necessary for the provision of the Service is revoked or ceases to be valid for any reason whatsoever. 5.3 Upon termination of the Service for whatsoever reason: (i) All licences and rights to use the Service shall immediately terminate; (ii) All monies owing to us shall become immediately due and payable whether demanded or not; (iii) We shall be entitled to charge your credit/debit card or other payment channels, or offset any outstanding amount or sums due to us against any credits, advances, deposits or other sums held by us on your behalf; (iv) You will immediately cease all use of the Service and delete or remove the Software and App from your devices and equipment; and (v) You will no longer be able to use the DID numbers associated with your account. Even if you were to subsequently reactivate your account, you will have no priority or claim whatsoever to the same DID numbers. THE SERVICE IS PROVIDED ON AN “AS IS” AND “AS AVAILABLE” BASIS. WE MAKE NO REPRESENTATION OR WARRANTY, EXPRESS OR IMPLIED, THAT THE WEBSITE, APP, SOFTWARE, CONNECTIVITY OR ANY FEATURE OF THE SERVICE SHALL BE FIT FOR ANY PARTICULAR PURPOSE, ACCURATE, UP-TO-DATE, ERROR-FREE, SECURE, RELIABLE AT ALL TIMES OR AVAILABLE AT ALL LOCATIONS, OR THAT THE SERVICE IS OF A PARTICULAR QUALITY OR YOUR USE OF THE SERVICE WILL PRODUCE CERTAIN RESULTS. YOU ARE AWARE AND ACKNOWLEDGE THAT THE SERVICE RELIES ON THIRD PARTY TECHNOLOGIES AND FACILITIES THAT ARE NOT WITHIN OUR CONTROL. YOU ARE ALSO AWARE OF THE LIMITATIONS AND CHARACTERISTICS OF DIGITAL AND WIRELESS NETWORKS AND THAT DATA MAY BE CORRUPTED, DIVERTED, DELAYED OR LOST DESPITE SECURITY AND OTHER MEASURES TAKEN BY US. YOU AGREE NOT TO HOLD US LIABLE FOR ANY SUCH OCCURENCES, INCIDENTS OR OTHER PERFORMANCE/OPERATIONS FAILURES OR INTERRUPTIONS. YOU EXPRESSLY AGREE THAT USE OF THE SERVICE IS AT YOUR SOLE RISK. YOU WILL RELY ON YOUR OWN REVIEW AND EVALUATION OF THE SERVICE TO ASSESS ITS RELIABILITY AND/OR SUITABILITY FOR YOUR PARTICULAR PURPOSE. YOU ACCEPT THAT YOUR SOLE REMEDY AGAINST US IN THE EVENT OF DISSATISFACTION IS TO CEASE USING THE SERVICE. 7.1 Digi, its directors, officers, employees, representatives, and its holding, subsidiary and affiliated companies, shall not be held liable to you or any third party for any liability, loss or damages whatsoever arising out of your use or inability to use the Service, for: (i) any indirect, consequential, exemplary, special or incidental damages (including without limitation loss or corruption of data, pecuniary loss, computer failure and interruptions, damage to property, injury to persons or death); (ii) any loss of profits, income, business or opportunities (whether direct or indirect); (iii) any loss or damage which may be incurred as a result of quality, disruptions or a delay in the Service; (iv) any release of new App or Software versions, removal of features or other modifications to the Service; and/or (v) any loss or damage arising from suspension or termination of the Service for any reason. Your acceptance of this limitation is an essential term of use of the Service and you acknowledge that we would not have otherwise agreed to provide the Service to you without your agreement to this term. 7.2 If, notwithstanding the foregoing, we are held liable by a competent body for whatsoever reason, you agree that our total liability to you for any damages or loss in connection with the Service shall in no event exceed a sum representing the total subscription or fees and charges paid by you to us for the Service in the last immediate preceding three (3) months prior to the dispute. You agree that if any part of this clause is deemed inapplicable for any reason, all other parts or provisions hereof will continue to apply to their fullest intent and extent possible. You agree to indemnify Digi including its directors, officers and employees, representatives and its holding, subsidiary and affiliated companies, to the fullest extent possible, from and against all liabilities, costs, demands or claims whatsoever, including reasonable legal fees, which may be incurred or made by any party in connection with or arising from your or your Users’: (i) breach of any of the provisions of these Terms of Service, other related conditions of use or any applicable law or regulation; (ii) violation of any rights of any third party; (iii) use or misuse of the Service and/or Software; (iv) default, negligence, act or omission relating to the Service; and/or (v) the contents of any communications distributed by you through the Service. 9.1 You should assume that all systems, network, software and hardware in connection with the Service, Website, App and Software including the graphics, logos, text, photographs, user interfaces, sounds, music, design, “look and feel”, and the expression and arrangement of content, is owned, controlled by or licensed to Digi and/or protected by copyright, trademark or other intellectual property rights. 9.2 Save as expressly provided in the Terms of Service, no licence or right is granted to you by implication, estoppel or otherwise and you may not use, copy, reproduce, sublicense, transmit or distribute any component of the Service without our prior written consent. 9.3 You undertake that you will not reverse engineer, decompile, disassemble or translate any portion of the Software, App or Website or any part thereof, or attempt in any way to discover, derive or reconstruct any source code, schema or algorithms of thereof by any means whatsoever. 0.1 You agree to our Privacy Notice incorporated herein by reference and accept that it forms an essential and integral part of these Terms of Service. The Privacy Notice sets out how we may collect, process, store and use the data we have of you. 10.2 You represent and warrant that the information provided to us when registering for the Service is true, accurate, current and complete. In the event that you have provided us with personal data of any other persons or party for the purposes of the Service, you represent and warrant that you have all necessary consents from such parties, shall continue to maintain such consents as required, and shall be responsible for having provided us such data. 10.3 You consent to our use of the personal data in accordance with the terms of our Privacy Notice and prevailing privacy policies. You agree that by registering an account with us and/or using the Service, you have authorised and consented to the personal data being transferred, disclosed to and/or processed at our partner’s data center in Los Angeles, USA or by such third parties as may be necessary for the purposes of providing the Service to you. You understand and accept that anonymous usage and quality statistics obtained from the use of the Service by you and your Users may be stored, monitored and analysed by us and our partner. 10.4 You accept that we may be required to revise our Privacy Notice or policy from time to time. All revisions will be notified through our Website and/or App. Your continued use of the Service shall mean that you have agreed and consented to our Privacy Notice and policy as revised. We may from time to time offer a 30-day money-back guarantee (“Refund”) as an opportunity for you to trial the Service. The following provisions shall apply to any such Refund that may be offered by us: (i) The cancellation of the Service and request for the Refund shall be made to hello@omnihotline.myand must reach us no later than thirty (30) days from the date you first signed-up for the Service. You will not be eligible for a Refund if your request reaches us beyond the initial thirty (30) days; (ii) The Refund shall only apply to the fixed monthly Service fee amount paid by you, and you hereby authorise us to off-set such sums for other charges that may have been incurred by you or are rightfully due to us (if any) prior to refunding any balance to you; (iii) Refunds are subject to your compliance at all times with all terms and conditions governing the Service and shall not be applicable for accounts which have been suspended or terminated due to any breach or violation; (iv) Each account is entitled to one Refund only. Refunds are not applicable to reactivated accounts. 12.1 These Terms of Service constitutes the entire agreement between us and supersedes all previous agreements, promises, assurances, warranties, representations and understandings between us, whether written or oral, relating to the Service. 12.2 We reserve the right to amend, add or remove any provisions under these Terms of Service at any time as we deem necessary. Changes shall become effective immediately upon upload and publication on our Website and/or App. Your continued use of the Service shall constitute your acceptance of the prevailing Terms of Service, including any term which may have been amended from time to time. You are responsible to regularly check these Terms of Service for updates or amendments. 12.3 If any provision of these Terms of Service or any part of such provision is found by any court to be invalid, void or unenforceable under any applicable law, then such provision shall be excluded or deleted from these Terms of Service to the limited extent necessary without affecting the validity and enforceability of the remaining provisions which shall continue to apply to the fullest extent. 12.4 Our failure to enforce or insist on strict performance of any of these Terms of Service shall not be construed as a waiver of any provision or right herein unless such waiver is made in writing to you, nor shall any course of conduct between us or any other party be deemed to modify any provision of these Terms of Service. 12.5 The provisions herein that by their sense, nature and context, are intended to survive performance by either party or both parties shall survive the expiry or termination of these Terms of Service and continue in full force and effect including without limitation provisions as to liabilities, indemnities, warranties, personal data protection and intellectual property rights. 12.6 We reserve the right to reference you as a customer or user of the Service in our Website, App and customer lists, and you hereby expressly authorise us to use your business name and logo for this limited purpose. 12.7 These Terms of Service may not be construed or interpreted to confer any rights or remedies on any third parties. 12.8 These Terms of Service shall be binding on your successors-in-title and permitted assigns. 12.9 In the event of a dispute between the English and non-English versions of these Terms of Service, the English version shall be the prevailing and governing version. 12.10 Digi is allowed to assign, transfer, subcontract and/or novate its rights or obligations under these Terms of Service as it deems fit or necessary. You will not assign, transfer, subcontract or novate any of your rights or obligations under these Terms of Service without our prior written consent. 12.11 These Terms of Service are governed by the laws of Malaysia and you agree to submit to the exclusive jurisdiction of the courts of Malaysia.